Are First Impressions Always Wrong? Hey guys, today I’m conducting a Paperap review. The company is based in the USA and has a rather attractive and modern website of perfect colors. Well, I just love these colors, but it doesn’t mean you will like them as well. Frankly speaking, I loved the site from the first glance just because its home page is beautiful and simple, but it’s not beauty my reviews are about. Writing, rewriting and editing are services provided by Paperap. Regarding Paperap papers, they are divided into following types: essay, article, annotated bibliography, argumentative essay, and many other but still standard ones. 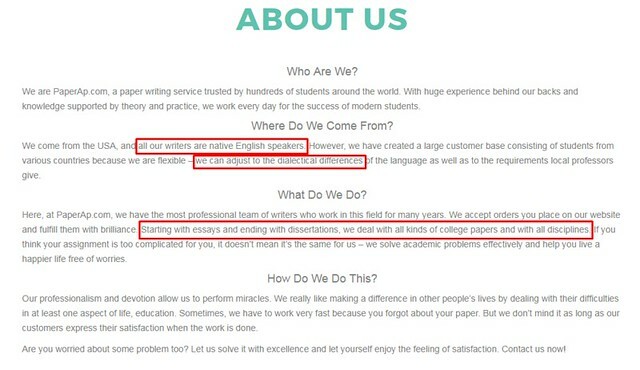 As it is stated in the About Us section, all writers are native English speakers who can write papers of any complexity. And in this very section, you can also see it’s all about college papers only. So, if you need a paper for University, go find another site. An average price for a one page paper is shown right on the home page. Well, what should my order do to attract your writers? Dance or sing, may be? Ah, no matter. All my attention was grabbed by PaperCP. Again. I perfectly remember I’ve seen it before. Isn’t the name of your service Paperap? Indeed, my paper cost me about $14. I used my usual scheme to get an answer to my question ‘Is Paperap legit?’ I surfed the website, but found no Paperap reviews from customers. Then I tried my luck on Trustpilot, Reddit and Sitejabber - nothing there as well. Again and again, why should I believe the service is truly good if there is no positive experience with it from at least anyone. Is Paperap scam? It’s up to you to decide. A chat with customer support is available only after I click on ‘Order Now’. IT IS INCONVENIENT GUYS! What if I need help at once? Okay. I texted a support agent and asked why their website is a complete copy of Studymoose.com and if Studymoose also belongs to their company. The agent answered me “Okay” (what? where’s your logical thinking human? have you seen my question?) and banned me from the chat. I can’t understand what I’ve done. I just asked a simple question and never stated that it’s bad if two sites belong to the same company. But what I know for sure, it’s really really bad when a company has what to disguise. 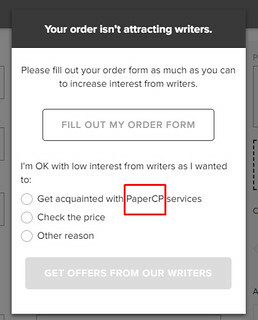 Does Paperap work as it claims to? The sad truth is that the company doesn’t bear responsibility for the quality of your paper at all. Yes, they will pay you back if a writer doesn’t provide you a paper on time or if it is completely plagiarized. But how about quality? 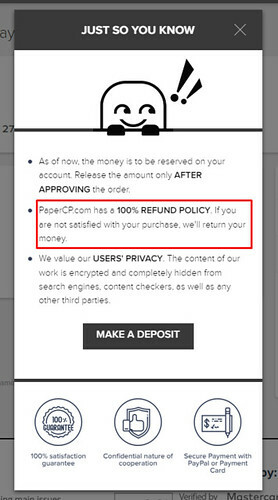 In the Terms & Conditions section of Paperap.com you will find that they are going to pay you NOTHING if the paper you ordered fails. Smells a lot like a lie. 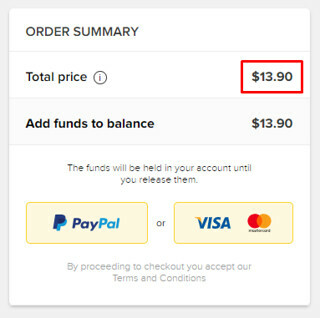 The order form is standard here and thus comprehensible.However, it takes a lot of time because before your order is published on the site, you need to enter your email address. Why not include it into the order form? 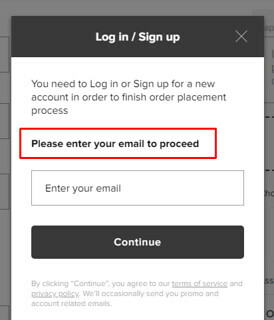 When I complete the form, I assume it is the last step and after it my order can be placed. However, there appears a new banner which asks me to enter my email. It’s rather annoying and even disappointing. The quality of the paper is average. Just an ordinary essay I can write myself and anyone of you can also. The paper had a certain percent of plagiarism, though it wasn’t high - about 12%.I think I could get C for this essay. Another extra feature is Free Essays. Yes, they are really free here, but not unique and cannot be used as ones. For the first glance, the site provides a nice feature - a citation in some of writing styles. The range of styles is rather narrow. What if I need Turabian, which is by the way a rather widespread style? 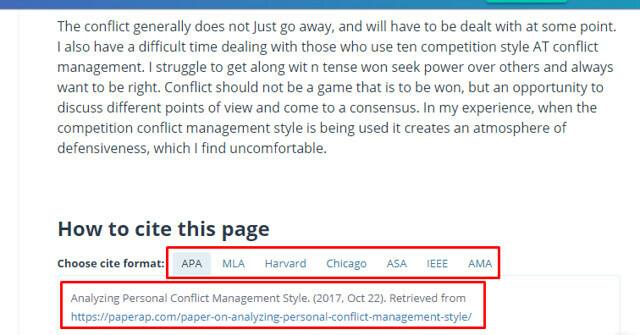 A ready citation could make your life better, but do you really want to show your professor a citation to a writing service??? I can characterize Paperap.com with just one sentence - a stylish beautiful website that has no value for students.